You must have a valid e-mail account to begin the registration process. You must register your company with the City’s iSupplier system by completing an application. Current City suppliers who have not registered in this system must re-register their company in this iSupplier system as a prospective supplier. Prospective suppliers, click here for registration. Enter all your company information. Field names that have an * are mandatory fields. Your application will be electronically processed by the City’s iSupplier administrator. Once your application is approved, you will receive a confirmation e-mail with your City of Atlanta Total Solution (CATS) iSupplier username and password. Please use your username and password to log on to complete your registration. After registering, you are eligible to be placed on the City’s bidder’s list. Once you are awarded a contract, the City requires a vendor to be licensed to do business in Georgia. A City of Atlanta license may be obtained also. The Office of Contract Compliance (OCC) is another office that plays an important role in the bid process. The Contract Employment Report Form (CER) found in the Bidder’s Application Package is reviewed by OCC. Additionally, certification for minority and female business enterprise status is handled through OCC. The City of Atlanta’s Department of Procurement (DOP) is responsible for the procurement of goods and services for the Department of Aviation. These include architectural and engineering services for construction, specialty consultants and contractors, maintenance equipment, vehicles and furniture. 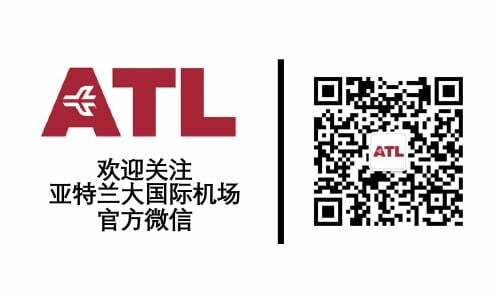 For more information about the procurement process, and to find out about available concessions opportunities, visit the City of Atlanta’s website. For Concessions Retail 2019 packaging, click here. For Concessions presentation, click here. For Procurement presentation, click here. For Contract Compliance presentation, click here. For on-site registration sheets, click here. Available bids: Click here to view more aviation RFP/ITB bids listed with the City of Atlanta. Upcoming bids: Visit http://procurement.atlantaga.gov/ for the latest opportunities.